It is a great honour for the ACJS to announce that Dr. Norma Baumel Joseph is the 2019 recipient of the Louis Rosenberg Canadian Jewish Studies Distinguished Service Award. Dr. Joseph brings together the highest standards of scholarship, creative and effective dissemination of research, and activism in a manner without rival in our field of Canadian Jewish studies, as well as being a respected voice in Jewish feminist studies more broadly. Dr. Joseph’s scholarship is remarkable for her mastery of both traditional rabbinic sources and anthropological methods. Her work on the responsa of Rabbi Moses Feinstein, including an award-winning article published in American Jewish History83,2 (1995), is based on a close reading of some of the most technical and difficult halakhic texts. Her mastery of these sources is also apparent in articles on women and prayer, the mehitzah, and the bat mitsvah. She has used her knowledge of halakhah in her academic work on Jewish divorce in Canada, including an article in Studies in Religion(2011) and is a collaborator in a recently awarded grant project, “Troubling Orthopraxies: A Studies of Jewish Divorce in Canada.” As a trained anthropologist, and as a feminist, she realizes that food is also a text and she has made important contributions to both the history of Iraqi Jews in Canada, and to our understanding of the history of food in the Jewish community. Her SSHRC-funded research has resulted in recent essays such as “From Baghdad to Montreal: Food, Gender and Identity.” Her ongoing reflections on Jewish women in Canada, first appearing as early as 1981 in the volume Canadian Jewish Mosaicare foundational texts in the study of Jewish women in Canada. Dr. Joseph has chosen to disseminate her research and wisdom in a variety of effective ways. Her undergraduate and graduate students at Concordia praise her innovative student-centred teaching. Recently, she instituted a for-credit internship at the Alex Dworkin Canadian Jewish archives which has been beneficial to both the student and the archive. She is in constant demand as a lecturer in both professional and lay settings. Her work in film has reached a wide audience. She is unforgettable in Half the Kingdom, a 1989 NFB documentary on Jewish women and Judaism where she explores with sensitivity the challenges—and rewards—of being both a feminist and an Orthodox Jew. She also served as consultant to the film, and was a co-author of the accompanying guidebook to what has become one of the most important Canadian documentaries on a Jewish theme ever made. Since 2002 Dr. Joseph has also committed herself to public education by taking on the task of writing a regular column on Jewish life for the Canadian Jewish News. Her views are based on a deep understanding of Judaism and contemporary Jewish life and are worthy of anthologizing. Dr. Joseph’s work as an activist is perhaps best known in the Canadian Jewish world. She is a founding member of the Canadian Coalition of Jewish Women for the Get and worked for the creation of a Canadian law to aid and protect agunot. As part of her Women for the Get work Dr. Joseph also participated in an educational film, Untying the Bonds – Jewish Divorce, produced by the Coalition of Jewish Women for the Get in 1997. She has also worked on the issue of agunot, as well as advocated for the creation of a prayer space for women at the Western Wall among international Jewish organizations. 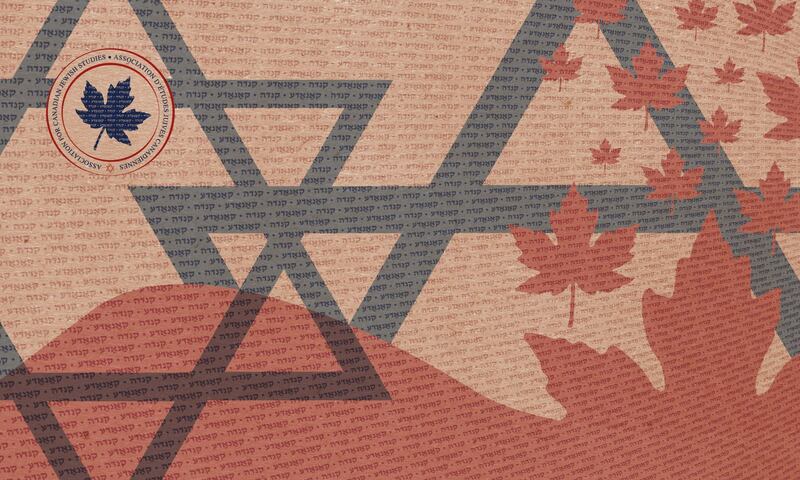 Dr. Joseph is perhaps less known for her significant and lasting commitments to the study of Canadian Jewry. She helped in the founding of the Institute for Canadian Jewish Studies at Concordia, and convened the Institute from 1994 until 1997, when a Chair was hired. She was also a founder and co-director of Concordia University’s Azrieli Institute for Israel Studies. In 1998 she was appointed Chair of the CJC National Archives Committee, and has remained in the position since then, under the new designation of Chair of the Advisory Committee for the Alex Dworkin Canadian Jewish Archives. In this capacity, Dr. Joseph has been a forceful and effective advocate for protecting and promoting the preservation of Canadian Jewish archival material and for appreciating the professionalism of the staff. She has also lent her time and experience to multiple meetings and interventions at various crucial junctures in the recent history of the Canadian Jewish Archives, during which she has balanced and countered arguments that would have led to the dissolution or extreme diminishing of the Archives as we know it. Her perseverance in networking and using her powers of persuasion on key people of influence has been a significant factor in its continued existence. Her work on behalf of the Archives has drawn her into diverse committees and consultations. Notably she contributed her expertise to the chairing of a sub-committee convened by Parks Canada when their Commemorative Places section was in search of Canadian Jewish woman-related content. Her suggestions made during our 2005 meetings have resulted in several site designations over the course of the past twelve years. Dr. Joseph has had a unique role in Canadian Jewish studies and Canadian Jewish life, and is richly deserving of the Louis Rosenberg Award. Michael Kent, our ACJS treasurer and also curator of the Jacob M. Lowy Collection at Library and Archives Canada, has made a remarkable addition to the library collection: a book from 1944 called (translated into English) Statistics, Media, and Organizations of Jewry in the United States and Canada. Where did it come from? Adolf Hitler’s personal library. Now with the Library and Archives Canada, the book suggests what could have happened if the Nazis had reached Canada and the United States. After a media launch in January, the story reached far and wide. ACJS president Rebecca Margolis as well as Michael Kent and others share their own insights of the book in the The Globe and Mail, Canadian Press, BBC and others. For more on the story, you can click here and here. This year, a generous donation in memory of Robert L. Kemeny will provide scholarships to all of our full-time student presenters at the ACJS Conference in Vancouver. Robert L. Kemeny was born in Hungary just before the Second World War and survived the Holocaust in hiding. In 1956, he escaped from the Hungarian Revolution, relocating to London, England and studying mining engineering with the help of a scholarship. After graduating, he went to work in the mines of Chile, remaining in South America for 10 years before his curiosity sent him even further abroad. 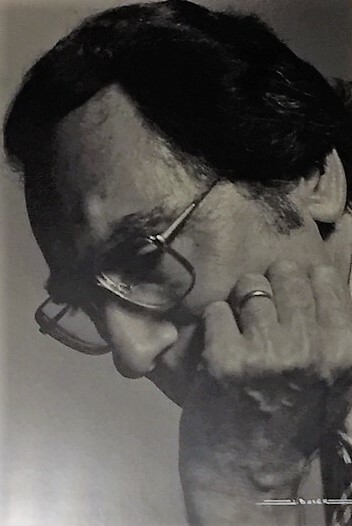 He moved with his young family to Vancouver, Canada in 1974 where he lived out the balance of his life with a passion for books, art, Judaism, and his family. He would be delighted to know how a small contribution will help some students learn more about the Jewish experience in his adopted Canadian home. You are invited to go back in time and learn about a small piece of history with a rich story. The Past to Present: Generations of Jewish Life in Saint John exhibit launch was announced by the Saint John Jewish Historical Museum! It encompasses “The development and preservation of a small Jewish community”. It tells a fascinating narrative of the Saint John Jewish community dating back all the way from 1783 to the present day.